In his January 11 article for The New York Times’ “The Upshot,” Justin Wolfers writes, “[A]t the annual conference of economists last weekend in Chicago, the major theme was a sense of anxiety about the incoming Trump administration. This foreboding was evident in roughly equal measure among conservative and liberal economists." Why the pessimism? Says Wolfers, “Few see useful channels for influence.” On many issues, such as trade restrictions, the Trump administration’s plans challenge widely accepted economic tenets, says Wolfers, who notes that Trump’s economic advisers have little formal training. And, in a recent survey of academic economists, writes Wolfers, 28 of 31 respondents believed Trump’s 100-day plan would not benefit middle-class Americans. Despite these fears, Wolfers notes, small-business owners and financial markets have turned sharply optimistic. How do we reconcile this contrast? Wolfers argues the groups are looking at different things. “Businesses and markets care about profits,” while economists care equally about businesses, workers, sellers, and buyers. Trump’s policies could help some while hurting others, he writes. 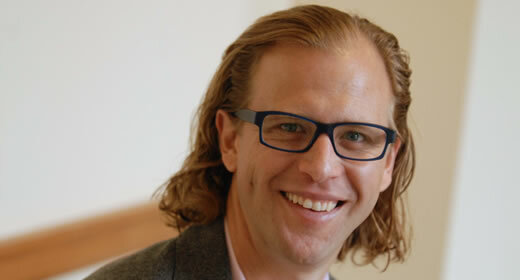 Justin Wolfers is a professor of public policy at the Ford School and a professor of economics in the department of economics. Wolfers' research interests include labor economics, macroeconomics, political economy, economics of the family, social policy, law and economics, and behavioral economics.